Water, Pepper, and Dish Soap - "Pepper Magic Trick"
Paper Towels and Food Coloring - "Traveling Colors"
Milk, Food Coloring, and Dish Soap - "Magic Q-Tip"
Students have also worked on some science challenges, like an A-Z crossword puzzle, and the Super Scientists Challenge. In the Super Scientists Challenge, students decoded a secret code to find the answers for different types of scientists. If they finished the first level, they tried to match the scientists to their descriptions. If they made it to the third level yet, they would be putting the scientists into a crossword puzzle. Our science students have worked hard on writing in their science journals - making predictions, writing observations, and explaining their observations. They have also worked at drawing and labeling pictures from their experiments. It has been a great first week! Looking forward to next week! 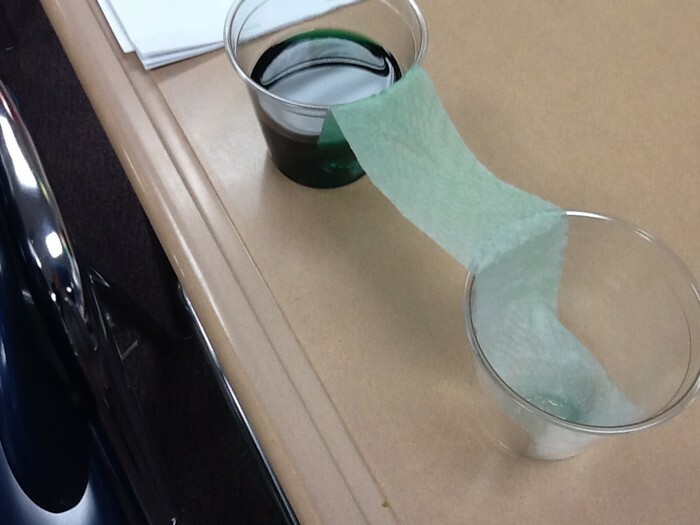 The colored water travels across the paper towel as the paper towel absorbs the liquid. 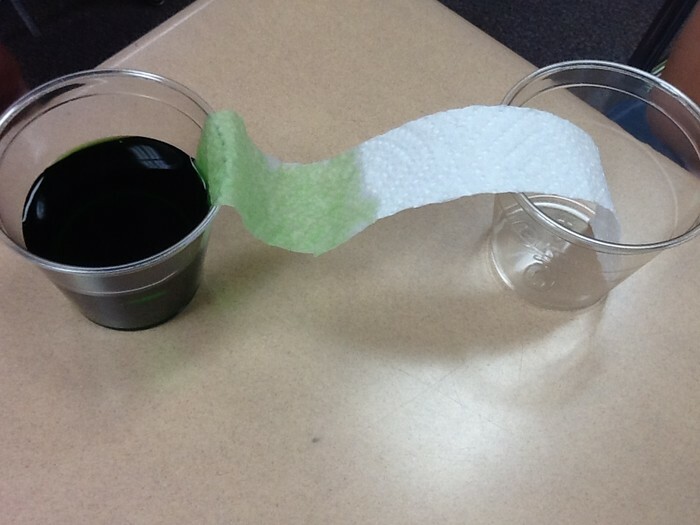 The colored water eventually makes its way to the empty cup, as the paper towel saturates, and the liquid drips into the cup! Here we have one cup with red food coloring, and another cup with red and yellow food coloring. 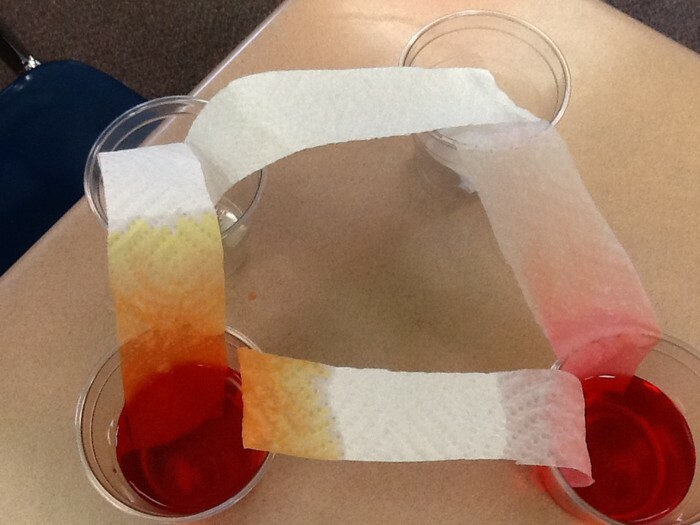 The red and yellow food coloring separate from each other on the paper towel! Connect With Our Summer School Class!